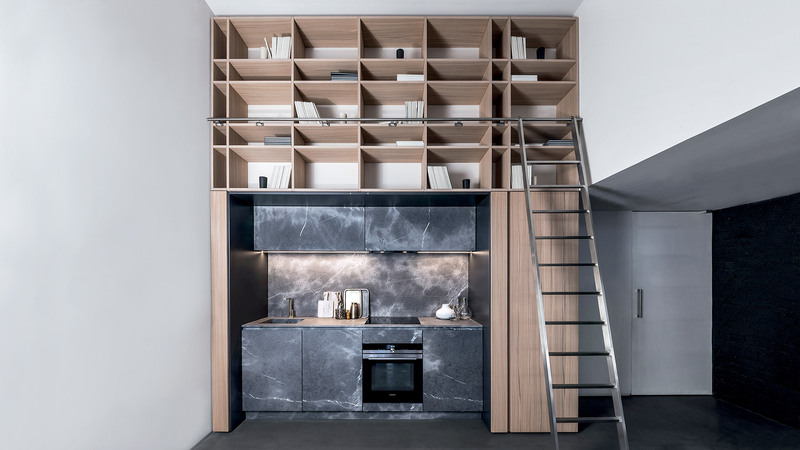 A stone kitchen revealed by a wall-mounted furniture made of elm wood essence. A compact composition entirely developed on concept T45. 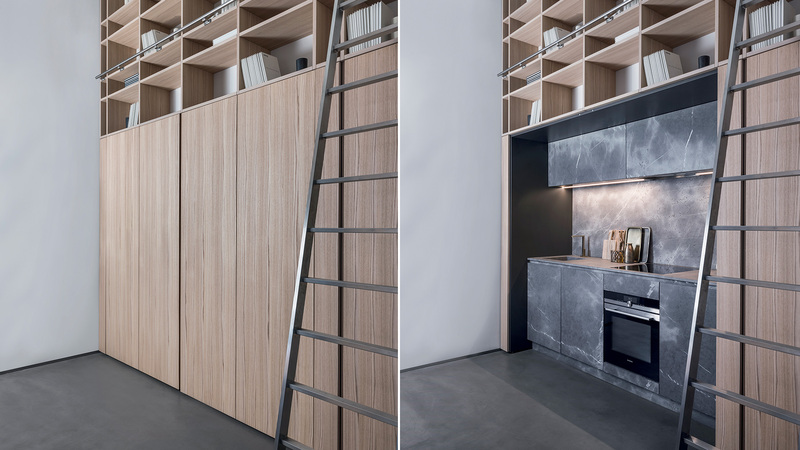 A hidden kitchen made of Corinthian stone that can be concealed by pocket doors in elm wood. 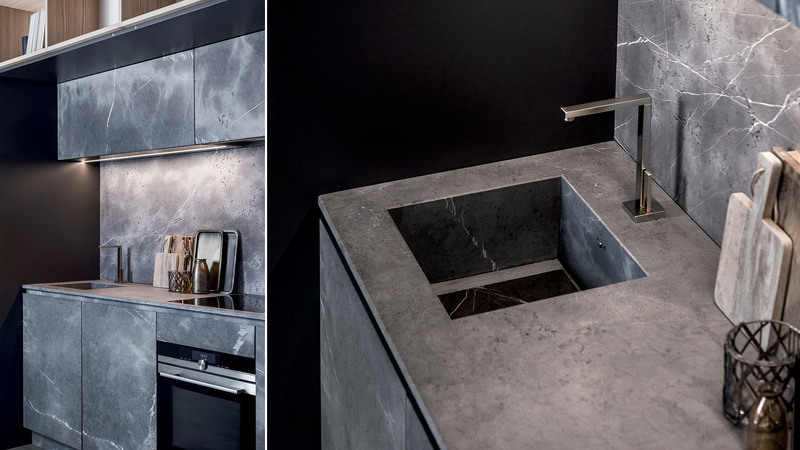 The worktop houses an assembled sink, also made of Corinthian stone, and an induction hood. The custom wall-mounted furniture has wood pocket doors and a cabinet with open-style elements in elm wood essence. A satin steel staircase, anchored to the furniture with a custom design bracket, completes the kitchen composition. 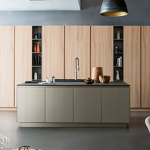 A kitchen project that enhances TM Italia’s tailoring skill.